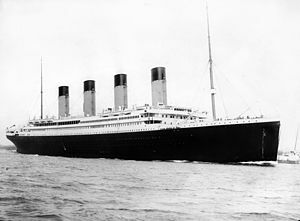 One hundred years ago today the RMS Titanic struck an iceberg on her maiden voyage from Southampton to New York. She sank the next day with the loss of 1,514 people. Of particular interest is who died and who survived. Out of 324 first class passengers, 214 survived. Out of 708 third class passengers, only 181 survived. And when gender is considered it's noteworthy that in first class 97% of the women survived against 33% of men. In third class 47% of women survived but only 16% of men. I guess there are a number of variables here, not least the position on the ship and their proximity to lifeboats, but they are still telling statistics. Just over 40 years ago a GP called Julian Tudar Hart coined the term the inverse care law. He described the observable fact that the availability of good medical and social care tends to be inversely related to the needs of the population served. Of course it's impossible to know the complete story of why the first class women mostly survived but the third class women didn't, but I know in medical practice how naturally we doctors tend, generally subconsciously, to give more attention to those of higher social standing. I'm not just referring to private medicine here. Perhaps the more articulate, well presented patient just asks more questions or expects greater explanation. Whatever, it's still something I'm well aware of in my own practice and try to resist it's subtle force. The church I am a part of is made of a spectrum of people from all walks of life. I thank God for that. One of the beauties of the Christian gospel is the levelling influence of the cross of Christ. All are given equal 'attention' by God in his grace. All are welcome, all find acceptance not because of their ability, nor even because of their inability, but rather because of the 'wideness of God's mercy' and the perfect offering of Jesus Christ.